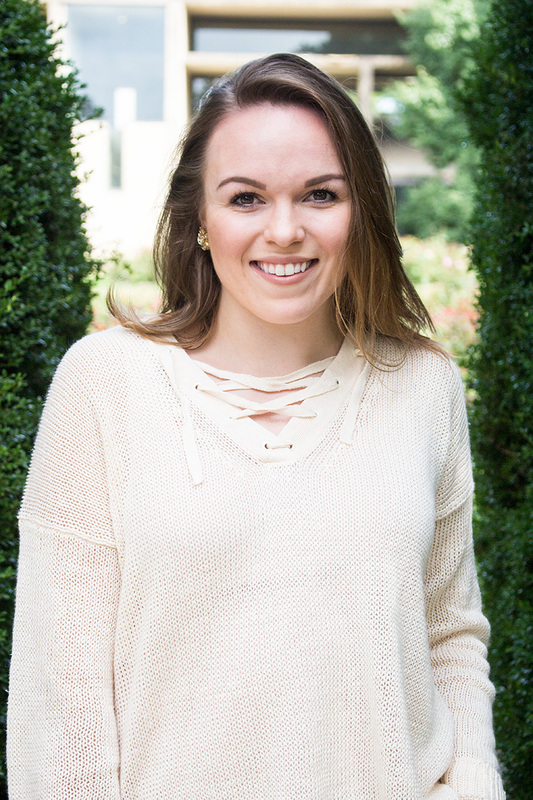 It's no secret I've had my bouts with acne, scarring, and oily skin for years now. I consistently try new products to combat my skin. 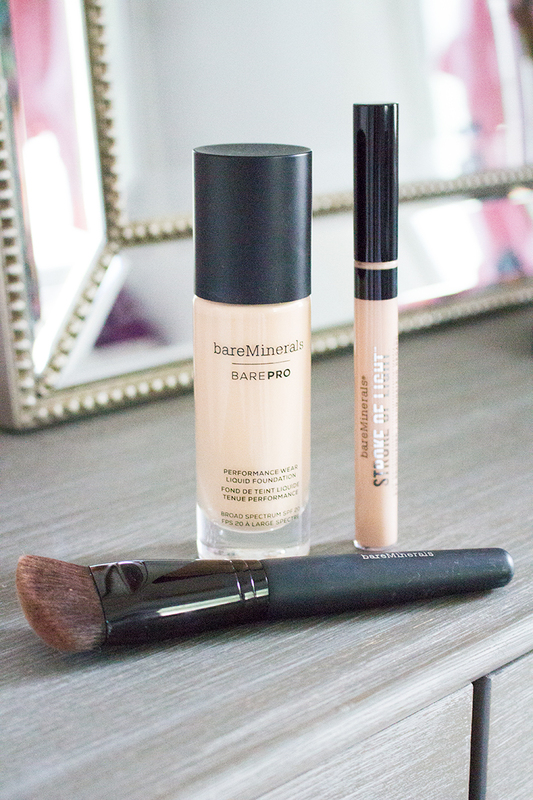 Recently, I tried bareMinerals new BarePro liquid foundation and this is the ultimate game changer. As a person with oily skin, liquid foundation scares me. The last thing I want at the end of the day is to have makeup seeping into my pores and revealing all my fine lines and acne scarring. I was always a firm believer that powder foundation was the way to go. While I love my powder foundation, I didn't realize how much my new foundation would make my skin look even better. 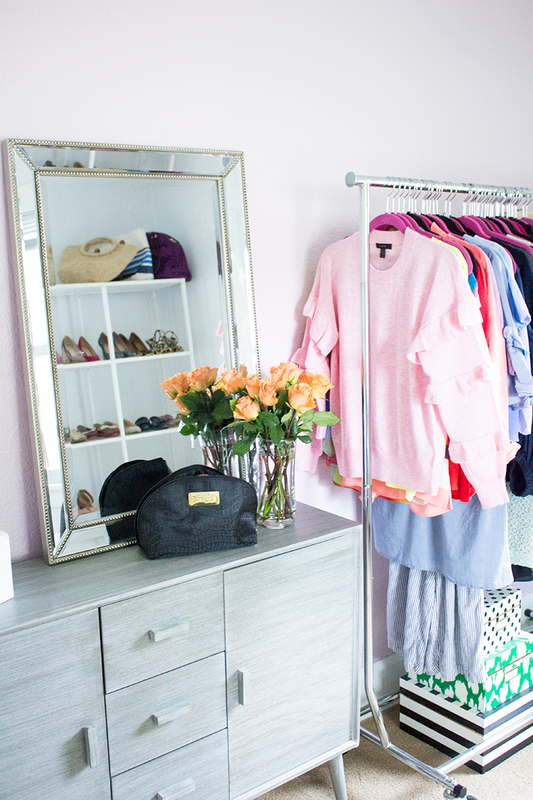 There are a few things I look for in makeup, thus why I'm so cautious to try new products. 1. Contains SPF - I may love laying out in sun but I'm very careful when it comes to protecting my face. I like my foundation and moisturizer to have SPF in them that way I know I have everyday protection. 2. Lots Of Color Options For Skin Tone Matching - No one wants their neck not to match their face🙈 3. Doesn't Cake - When I have tried liquid foundations in the past, they tended to "cake" onto my face. All the fine lines, scarring, or wrinkles I have were full of liquid makeup. #notokay 4. Full Coverage - It's very important to me that the foundation I use is full coverage. I don't like to see my acne scars, discoloration, or any breakouts. One of the main reasons I decided to switch up my makeup routine was because my powder foundation wasn't lasting all day! 5. Lightweight - I do not want to feel like I'm wearing any makeup. I honestly think it feels gross when you can tell how many layers of foundation/concealer/bronzer/etc., on your face. For my skin, I have found a combination that works wonders. Throughout the day, my T-Zone normally gets very oily, well, not with the products I'm using! I have finally achieved a "matte finish" with no touch-ups during the day. 1. After you have cleansed your face thoroughly and applied moisturizer, then apply primer. 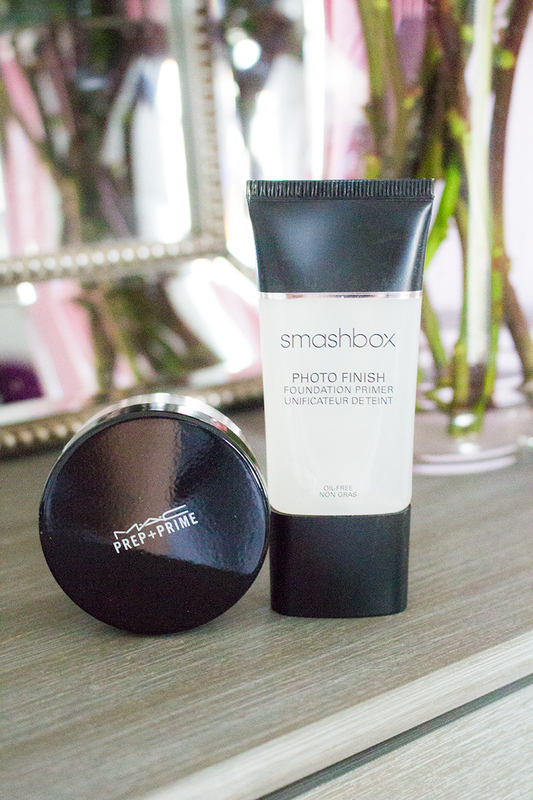 I am currently using Smashbox Photo Finish. I think this primer helps give me the matte look I am looking for but also does a great job at concealing all the things I don't want people to see! 2. Once primer has set, start applying foundation. I will be honest when I say I don't think I'm a fan of the Luxe brush that is recommended with the foundation. However, after application it looks great. I may try applying with a different brush so I'll update this when I do that! 3. 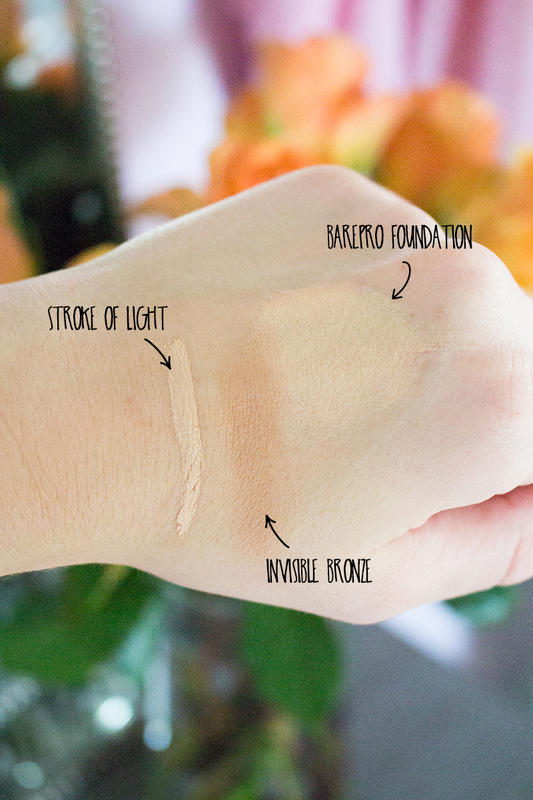 I then apply concealer, Stroke of Light (my absolute favorite) in a triangle under my eyes. 4. Following concealer, I use the invisible bronze on my cheekbones, sides of my nose, and hairline on forehead. 5. Last, but a very important step, I follow with Mac Prep + Prime translucent powder. This product is amazing - I don't see any oily spots on my face at the end of the day. 🙌🏼 Definitely worth the $ if you are battling with oily skin. Follow me on Insta-Stories so you can see how my makeup lasted all day! !